A woman looks over prints in the Met Museum Store at the Metropolitan Museum of Art on March 13, 2009 in New York City. New York's Metropolitan Museum of Art says it's returning a prized artifact to Egypt after learning it was stolen from the country in 2011. The Met said Friday that the Manhattan District Attorney's office found evidence that the museum was given a false ownership history for the gilded Coffin of Nedjemankh. The Met bought the piece from a Paris art dealer in 2017 and displayed it until this week. Nedjemankh was a high-ranking first century BC priest. Investigators say the Met was given fraudulent documents, including a forged 1971 Egyptian export license. Met president Daniel Weiss apologized to Egypt. He said the museum was a fraud victim and unwitting participant in the illegal trade of antiquities. 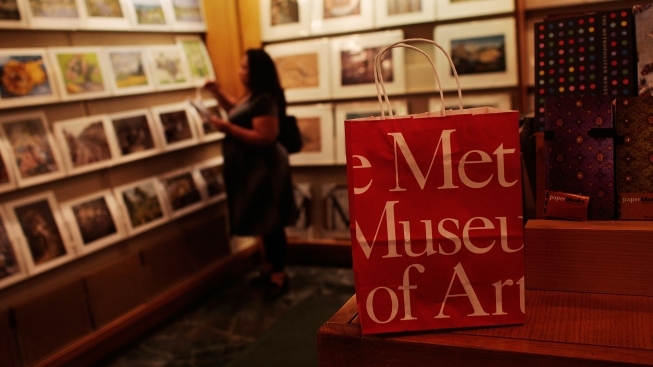 The Met says it's cooperating with the DA's investigation and revising its acquisitions process.